As the traffic snarls becoming the order of the day in Assilmetta, RTC Complex and Gajuwaka areas, especially during the opening and closing hours of the educational institutions, the administration is mulling to have staggered schedules for the colleges. At the road safety meeting with the participation of officials from traffic, GVMC, Rural Police, R&B and other departments here on Thursday, Collector K. Bhaskar observed that the traffic congestion in the areas in question was getting worse due to the same opening and closing time of the educational institutions and asked the traffic police to discuss the matter with the college managements. After the traffic police raised the issue at the meeting, the Collector asked District Education Officer Lingeshwara Reddy to hold talks with the college managements concerned and see the feasibility of fixing different opening and closing timings for each college. “Road safety awareness campaigns should be conducted in colleges,” the Collector said. Saying that a number of accidents involving two and three-wheelers are being reported from various parts of the district allegedly owing to the negligence of RTC bus drivers, Mr. Bhaskar said a three-member team would be constituted to study the reasons for the accidents caused by RTC bus drivers including drunk driving, taking over cellphones while behind the wheels, overspeeding and etc. “The team will submit an audit report to road safety committee on the first Tuesday of every month. Disciplinary action will be taken against the negligent drivers which may include suspension. If necessary, training programmes for bus drivers will be organised,” the Collector said. Deputy Transport Commissioner (Visakhapatnam) S. Venkateswara Rao said that a week-long road safety campaign will be organised from February 4. 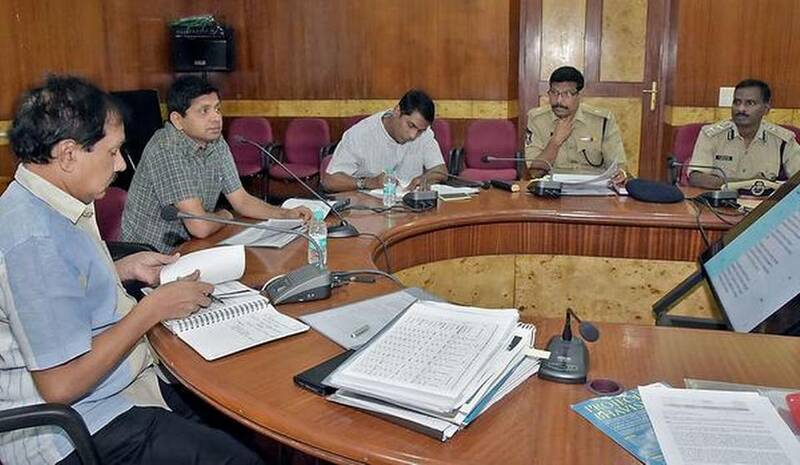 Municipal Commissioner M. Hari Narayanan and other officials participated in the meeting.